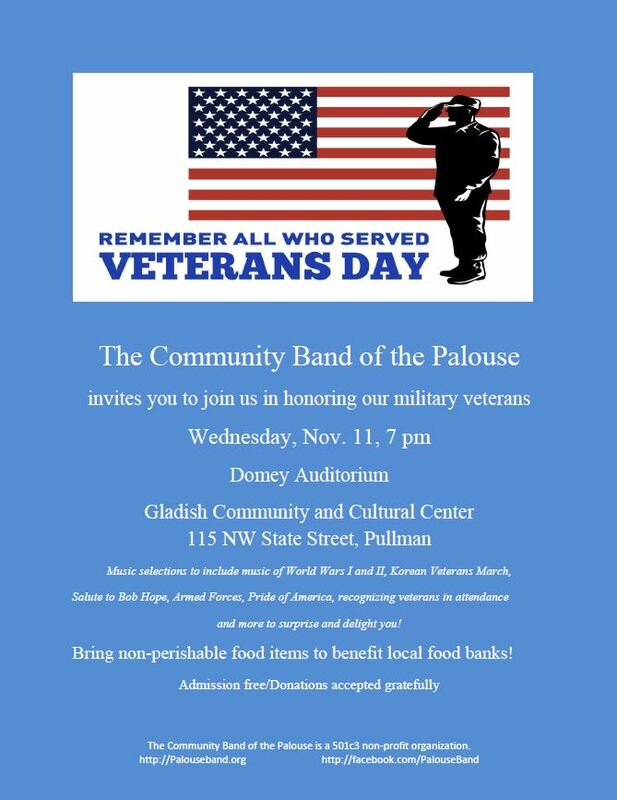 Music selections to include music of World Wars I and II, Korean Veterans March, Salute to Bob Hope, Armed Forces, Pride of America, recognizing veterans in attendance and more to surprise and delight you! Admission free/Donations accepted/Bring a canned item for the local food banks! 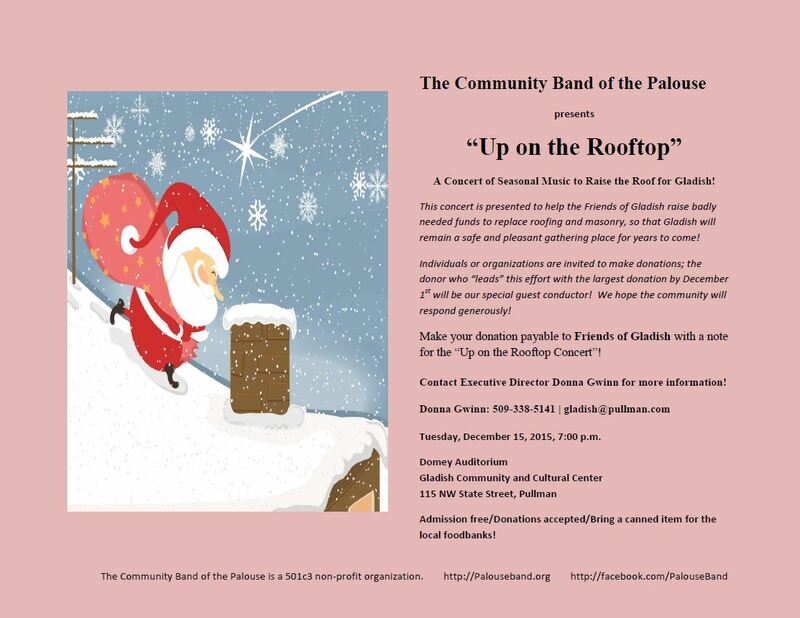 The Community Band of the Palouse will present “Up on the Rooftop” at the Gladish Community and Cultural Center on December 15, 2015, 7:00 PM. The band will present a concert of seasonal music to Raise the Roof for Gladish!! Individuals or organizations are invited to make donations; the donor who “leads’ this effort with the largest donation by December 1st will be our guest conductor! Thank you so much to our community supporters for your help in getting the word out about our concerts: Columbia Bank, Tri-State, Gladish Community & Cultural Center, and others. We appreciate your support!